One man is facing several charges after a traffic stop in the USA. Odessa Police tell NewsWest 9, officers saw a red 2008 Chevrolet Silverado traveling at a high rate of speed with no headlights on in the area of Crescentand Patton early Thursday morning. According to the report, the vehicle then struck a fence and a garage in the 1500 block of Patton and the driver fled the scene of the accident. 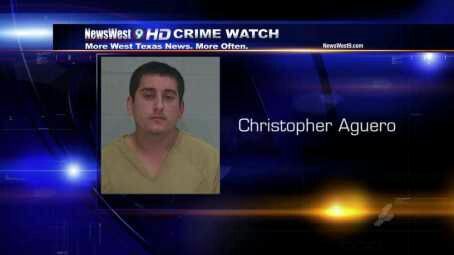 Officers later conducted a traffic stop on the vehicle at 18th and Crescent and the driver was identified as Christopher Aguero, 23.As officers were talking with Aguero, officers could smell a strong odor of an alcoholic beverage coming from him.Aguero was later taken into custody for driving while intoxicated after failing a field sobriety test. A bag of cocaine was also found in the center console of Aguero's vehicle.No injuries were reported in connection with the crash in the 1500 block of Patton.Aguero has been charged with possession of cocaine, driving while intoxicated and leaving the scene of an accident.